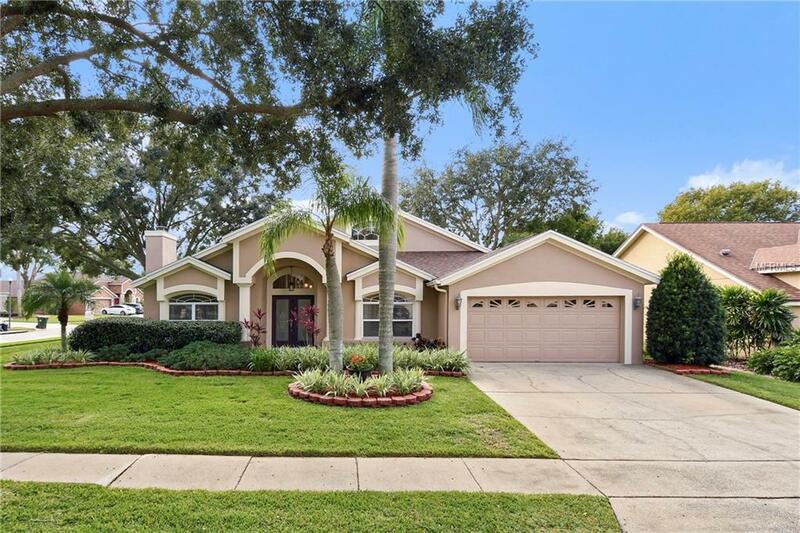 METICULOUSLY MAINTAINED inside and out, this beauty sits on a large beautifully landscaped CORNER lot. 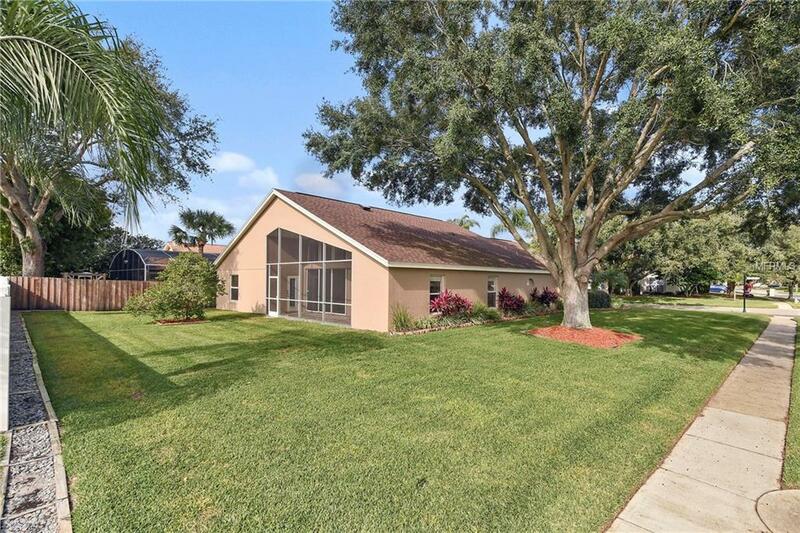 Offering a highly functional OPEN AND SPLIT floor plan with VAULTED CEILINGS AND LARGE TRANSOM Windows that allow natural SUNLIGHT to light up the home. FRESHLY PAINTED throughout-NOV 2018! Outside paint 2017. 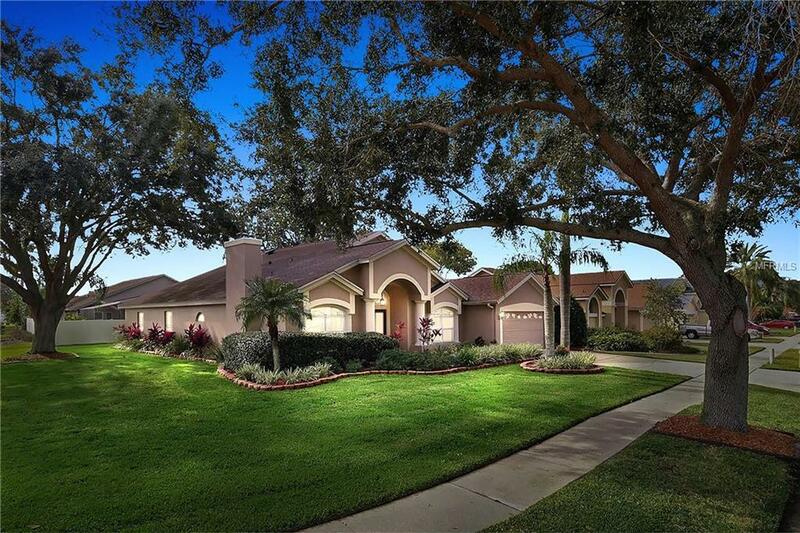 At the center of the home is a Large kitchen WITH GRANITE countertops and ISLAND, it is joined with the family room creating that OPEN CONCEPT living space. New STAINLESS STEEL appliances are a Plus! AND BRAND NEW PLUMBING! A Large Master Bedroom and Bath has GARDEN TUB, WALK IN SHOWER, 2 LARGE CLOSETS as well as a DOUBLE DOOR entry with privacy from the rest of the bedrooms and private access to the SCREENED LANAI. Separated but open FORMAL DINING and FORMAL LIVING have views of the beautiful WOOD BURNING FIREPLACE. 2 additional bedrooms share a hall FULL bathroom and a 3rd bedroom with a Full bathroom can be used as a GUEST ROOM; All are on the other side of the home allowing privacy from the main rooms. The additional bathrooms also feature the latest in LED-lighting. The garage has convenient SHELVING AND STORAGE, AND New WI-FI compatible Garage door opener. The backyard is large and sure to impress! 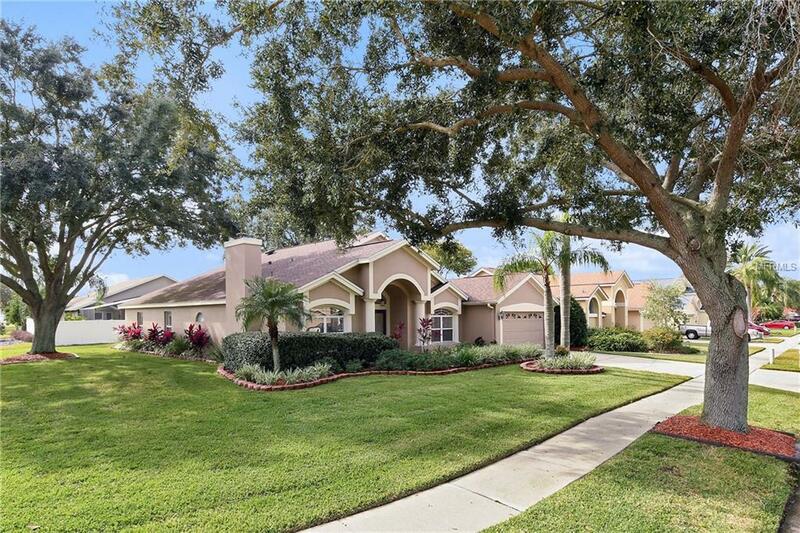 Plantation Groves is centrally located and provides quick access to all major roadways 429,408,TURNPIKE, I-4, DISNEY, UNIVERSAL STUDIOS, WINTER GARDEN VILLAGE, SHOPPING, RESTAURANTS,HOSPITALS and more. Owners pride of ownership shines through, and is turn key ready.